Former Bundesliga official Babak Rafati has revealed how Bastian Schweinsteiger played a part in convincing him not to attempt suicide again. Rafati attempted suicide back in November 2011, after coming under immense pressure and scrutiny for a number of mistakes he committed on the pitch. He slashed his wrists in a Cologne hotel bathroom on the morning of a match, and was discovered unconscious after his assistants noticed his absence when he failed to appear for a pre-game briefing. The ex-referee recalled the moment he regained, stating (via The Sun): “I woke in a hospital bed. It was a terrible moment, and my first thought was that I would plan things next time I tried to kill myself and do the job properly. 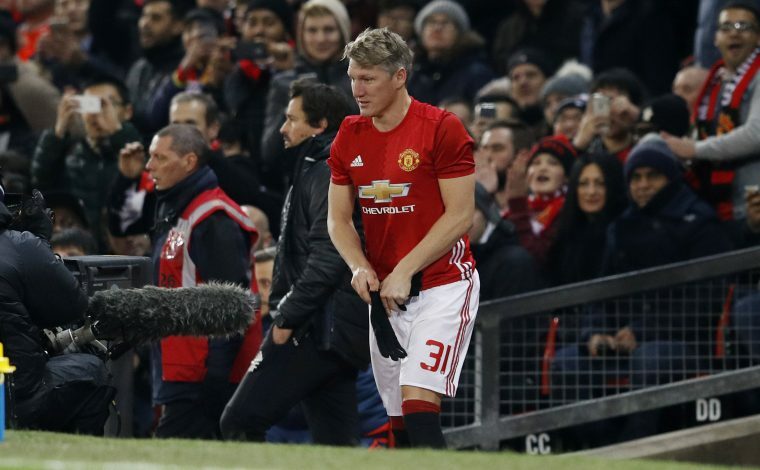 Rafati then revealed how out of many people, current Manchester United midfielder Bastian Schweinsteiger was one such person to help him out of his depression and suicidal tendencies. “Bastian Schweinsteiger wrote me a letter that moved me greatly,” he said. “There was no ulterior motive on his part, as he knew that I would no longer be able to referee after this incident. He wrote: ‘Mr Rafati, people often make mistakes in life, but we simply have to make comebacks even more often. I wish you all the very best.’ It was an incredibly big human gesture on his part.